NEW! With safety device for locking the slicing grid! 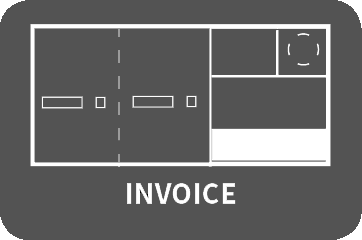 ...Don't crush it - cut it! 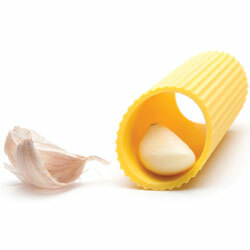 Stylish garlic cutter, created by invivodesign², A novelty for fresher and better garlic aroma! According to the motto, don't crush it - cut it, the clove of garlic is not crushed. 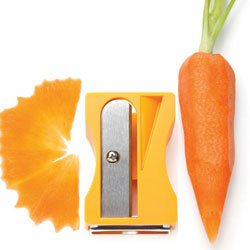 Instead it is cut into rods or cubes. Tastes better, spreads easier and doesn't leave fibres. 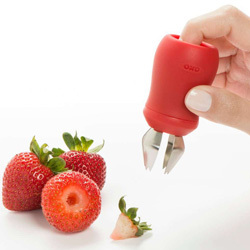 It's extremely stable and has a great surface feel, suitable even for large cloves. 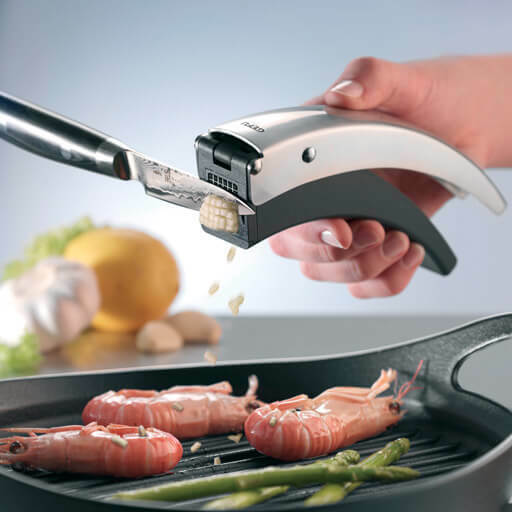 Easy mechanism and an ergonomic handle. 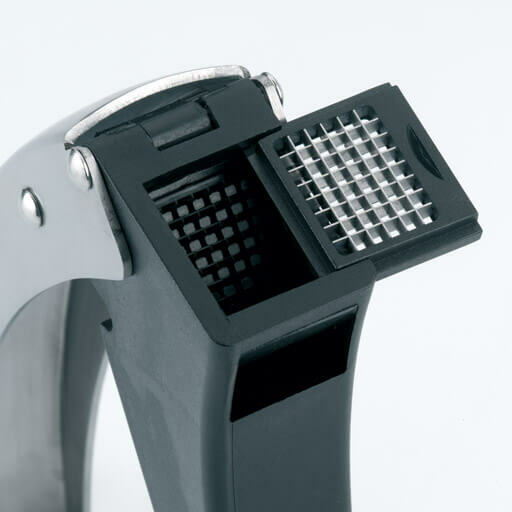 The removable cutting tool and grill guarantee easy cleaning. 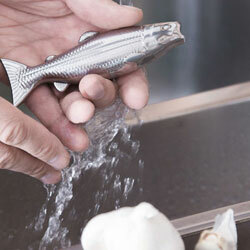 The mix of stainless steel and high-quality plastic is dishwasher safe.